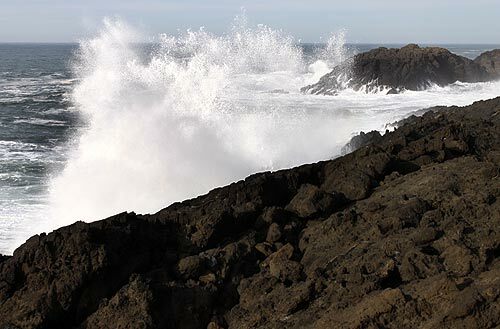 (Oregon Coast) – A wild mix of weather for the Oregon coast and the Coast Range passes is in store over the week, with gargantuan waves on their way and some minor to mid-range snow action along the routes to and from the beaches. 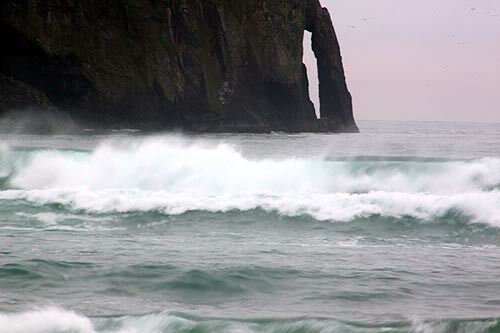 Look for some gnarly storm action later this week on the Oregon coast, with wave height rising to over 20 feet by Thursday and then hitting even higher on Friday, according to the National Weather Service (NWS). By Wednesday night, seas will be to around 15 feet offshore, but the intervals between waves are not high, which means no threat. That may change on Thursday: combined waves hit 25 feet with 17 seconds between waves and then edging even higher on Friday. 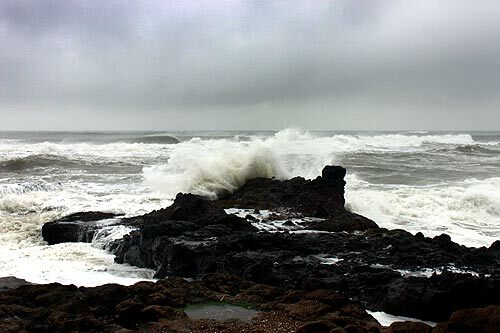 This could result in some high surf warnings, but certainly some excellent wave action along rocky stretches like Depoe Bay, Oceanside, Yachats and many of the beaches south of there. 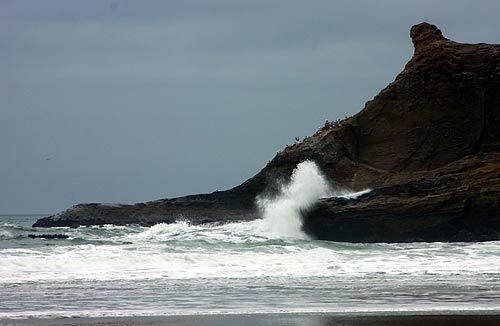 Newport’s Yaquina Head and Pacific City’s Cape Kiwanda should also provide some stunning watery pyrotechnics. Snow events are done for the valley and the Portland region, the NWS said. “Otherwise, expect cold valley rain for Thursday and Friday, with another round of snow for the Cascades, Cascade Foothills, Coast Range, and Upper Hood River Valley,” the NWS said. On the northern Coast Range, there are chances of snow mixed with rain throughout the week, but it’s mostly wet between Portland and the coast. The weekend moves to simply rainy. 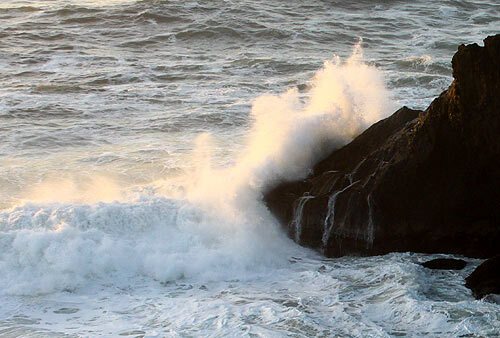 The central Oregon Coast Range looks to get more snow than up north, according to the NWS. Forecasts for the Murphy Hill summit area of Highway 18 don’t look as clear as much of Highway 26. Wednesday and Thursday bring a chance of snow showers early in the morning but clearing in the afternoon. Friday afternoon sees another round of snow, with accumulations of one to two inches possible in the higher summits.